As you’re settling into the first few weeks of marital bliss, you may find yourself constantly checking your inbox to finally see that one sentence — those five words — you’ve been waiting for since you exited your wedding venue. Then, as you open the photo gallery to relive the best day of your life, the last thing you want to come out of your mouth is that one sentence — those four words — you prayed you’d never say about your wedding day look. 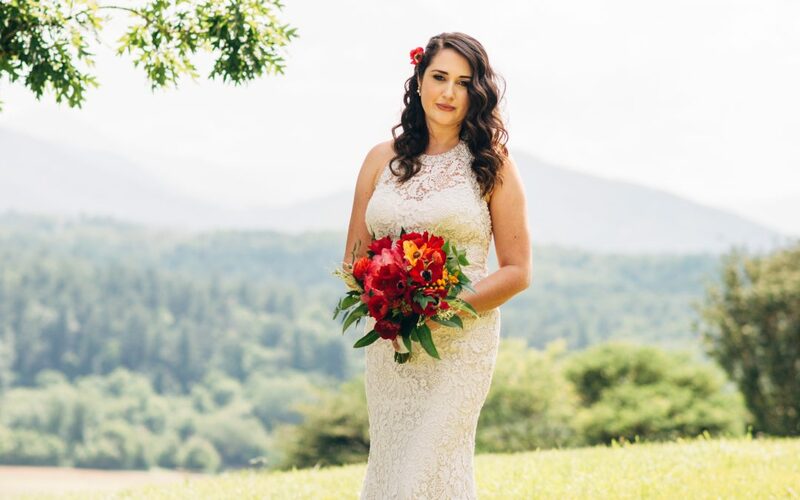 The best way to avoid a future full of regret is to consult with your wedding hair and makeup artists before your wedding day to create and customize a look that’s more timeless than time stamped. Amanda Anderson and Heather Fisher of Doll Box Productions help their clients to not only achieve the perfect balance of trendy and traditional styles, but to understand why a healthy compromise will make them happy as they admire their wedding photos for years to come. That makes total sense. But I’m still unsure of how to choose the right look for me. Where do I start? What should I think about when trying to decide on what I want for my wedding hair and makeup? 1 | Be yourself. 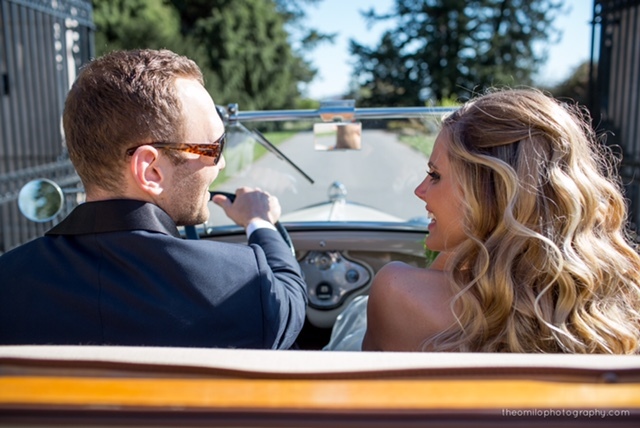 For your wedding, the goal is to look like the best version of yourself. Don’t surprise your forever-after waiting at the end of the aisle with a person they don’t even recognize. If you don’t tend to wear a lot of makeup, don’t go full throttle on your wedding day — it won’t look natural to your guests or in photos, and you won’t feel like yourself. The answer: keep your look soft and natural, but enhance your favorite features. 2 | Choose, don’t abuse. You’re drawn to trends and that’s totally okay! Just don’t go for all of them at one time (and on such a big stage). Instead, choose one as a focal feature and build around it. Think statement hair and smoky eyes with soft lips and cheeks. Don’t go for the magazine hairstyle and a face full of makeup in one fell swoop. Balance is truly the key to a beautiful look. A little drama and a little restraint is the sweet spot you want to aim for. Photo by Theo Milo Photography. 3 | Be realistic. We all love the inspirational photos we find floating around the internet, and we appreciate our clients coming to us with visuals to help us understand the look they’re going for. However, very often the look you see in a photo isn’t as simple as you may think. 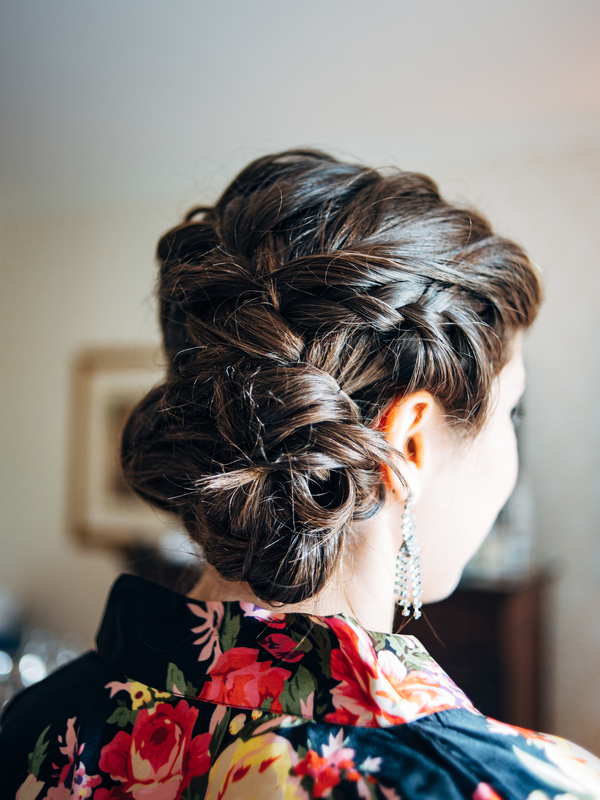 For example, a hairstyle with a huge braid around the crown typically requires an additional hair piece to create volume and quantity. 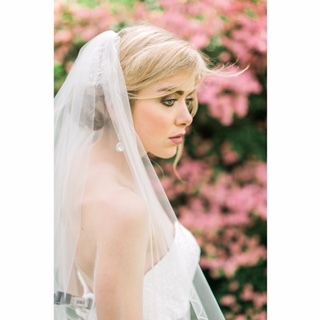 We can and do add in hair pieces for our clients, but very often our brides aren’t prepared to hear they’ll need extra hair to make their dream look happen. This is when consultations and trial runs really come in handy. They’re essential for clear communication between the bride and her hair and makeup artists to get on the same page with goals and budgets. Once we’re all in agreement, we can go ahead with the hair piece, or find an alternative more suited to what you have to work with. Photo by Jen Yuson Photography. Amanda and Heather are hair and makeup artists in Asheville, NC. They have over a decade of experience and provide hair and makeup services for weddings, events, commercial, print, film and video. Doll Box Productions is their team of talented artists, providing on-site services for weddings and events of all sizes. To learn more about Doll Box Productions or to contact them, please visit their website. Feature photo by Jen Yuson Photography.